An outdoor emergency isn't just sitting and waiting – taking the right steps as soon as you realize you’re in a survival situation dramatically increases your chances of surviving and getting rescued. The SOL Core Lite™ has been designed with these essential survival tasks in mind – the quintessential multifunction survival tool. The main feature of the Core Lite is its folding AUS-8 stainless steel blade, which locks into place with a robust locking liner. The drop-point, hollow-ground blade is engineered to excel at survival tasks such as whittling, slicing, and other tasks where blade control is essential. The combination of a long handle and short blade prevents the knife from getting unwieldy when you are making kindling for fire, cutting wet tree bark to expose dry inner wood, or notching and grooving branches in order to construct a shelter. When the sun goes down, your work doesn’t have to stop – a dual-battery ultra-bright LED light points down the blade for cutting in the dark and will illuminate your camp when other light sources aren’t available. 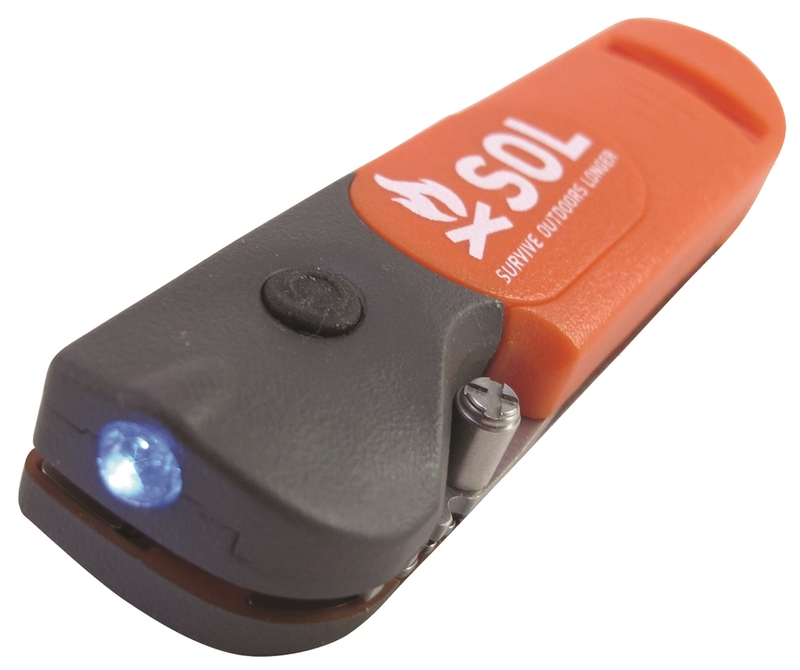 A 100db rescue whistle at the base of the knife handle helps signal rescuers to your location. A true survival tool is something you take with you on every trip, every time. To that end, it has to be light enough that it disappears in your pocket or in your pack until you need it most. 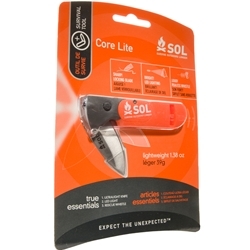 At a scant 1.4 oz, you won’t even know the Core Lite is there until you need it. 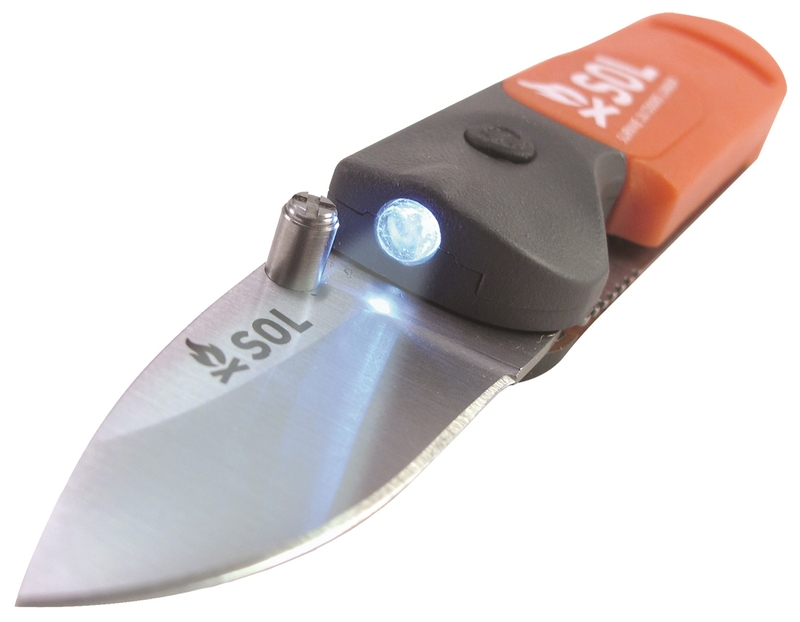 Adventure Medical Kits's Product Manager shows you the Survive Outdoors Longer Core Lite, a 1.4 oz survival tool with a folding-blade knife, signal whistle, and LED light.